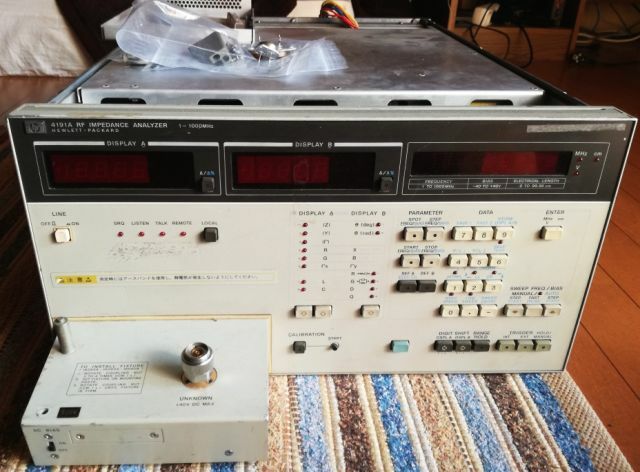 Recently, I found a defective HP 4191A for a low price, and thought I should try to fix it – these devices where manufactured by HP’s Japan division, and for years, I have been looking for a working unit, but to no avail (prices in the range of 2-4 kEUR, and new instruments of this class demanding well over 10 kEUR). So, let’s see if we can fix this box. This is how it should look like, from the cover of the HP Journal. This is the unit currently, already opened it up to have a look inside. Top view – a good amount of empty space, which is there to fit the high frequency resolution option. The CPU boards, it seems to be the newer version, compared to the boards described in the service manual. 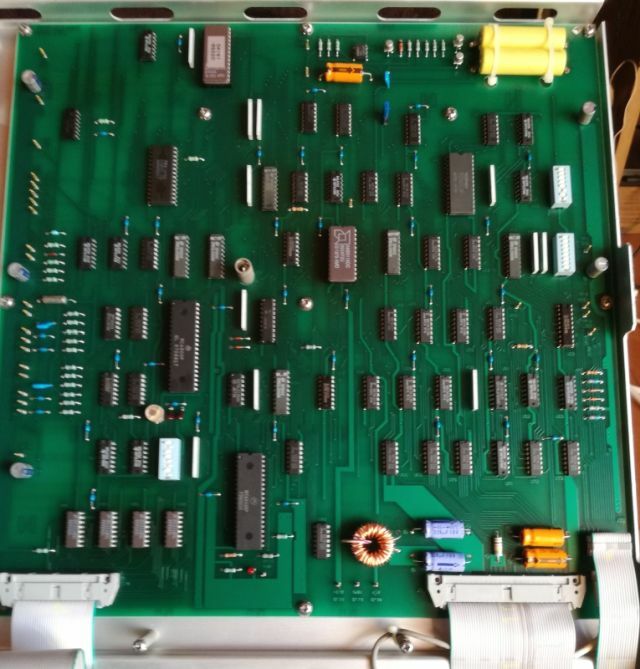 Rear view – this also carries the power supply (voltage regular A23 assy). Already removed it, it was only held on by two screws. As it turns out, it is not working, the 12 V rails are missing. And some other voltages are not good (5 V is fine, so the CPU is working and seems undamaged). 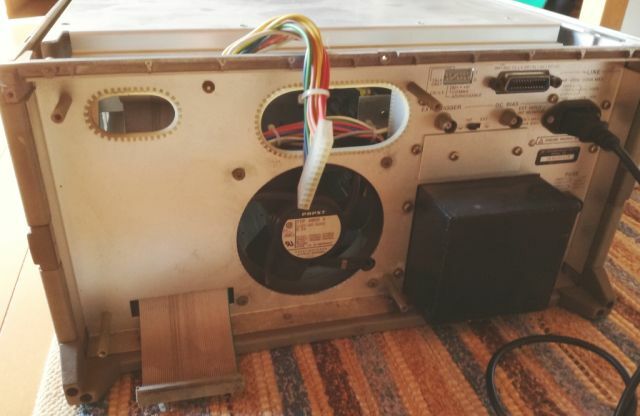 The unit is reasonably clean, but the power supply, it is dirty, and rusted. Not sure why. 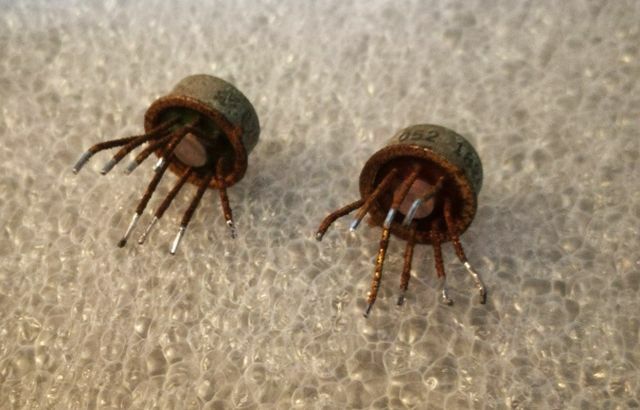 Especially the opamps have signs of corrosion – two had even non-conductive, fully rusted legs. 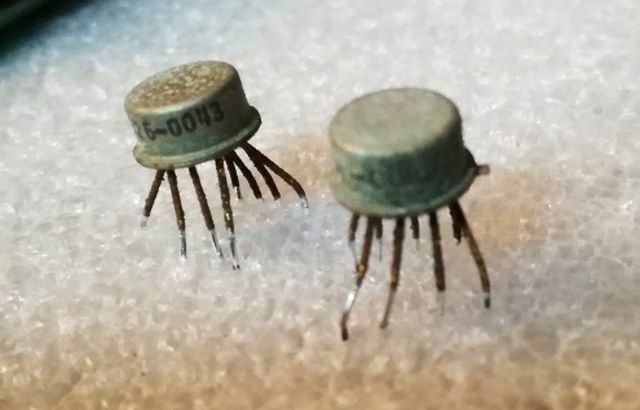 These are 1826-0043, which is a pretty generic HP part and can be replace by LM307H (or the DIP version, much lower cost, LM307N). 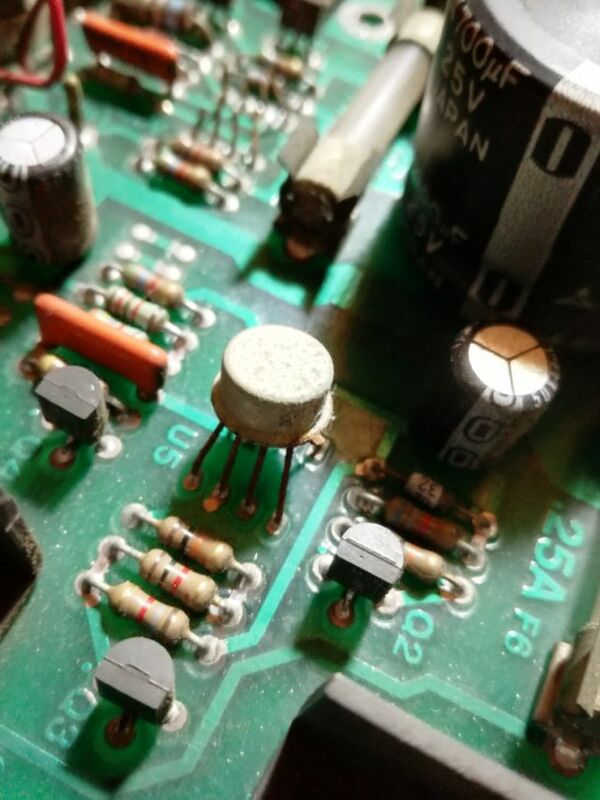 I have never seen such rusted opamps, maybe the instrument (or at least this assembly – the rest of circuits has no sign of rust) was kept close to the ocean, in salt spray? After more careful analysis, some trouble with the 12 V (positive and negative) pass transistors. Seems someone tried to repair it before, but for some reason, judging by the date codes, didn’t replace them. 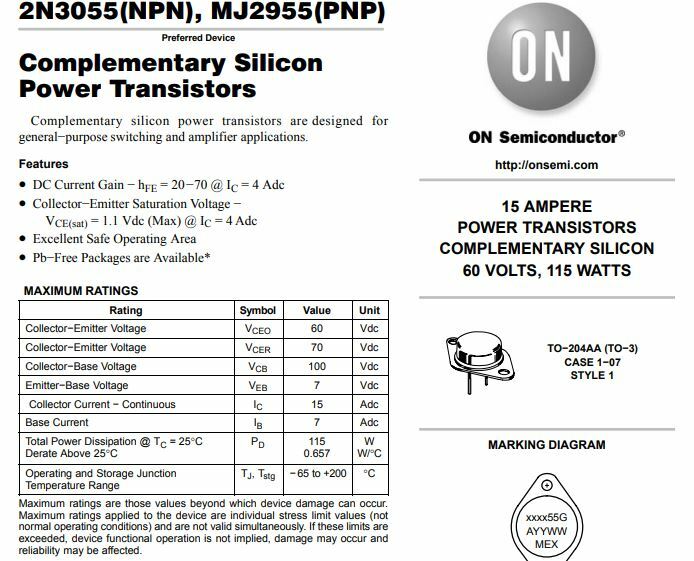 The NPN, no problem, it can be replaced by a 2N3055. But the PNP – it is HP 1853-0252, alias SJ1798. Not sure how to get one of these. 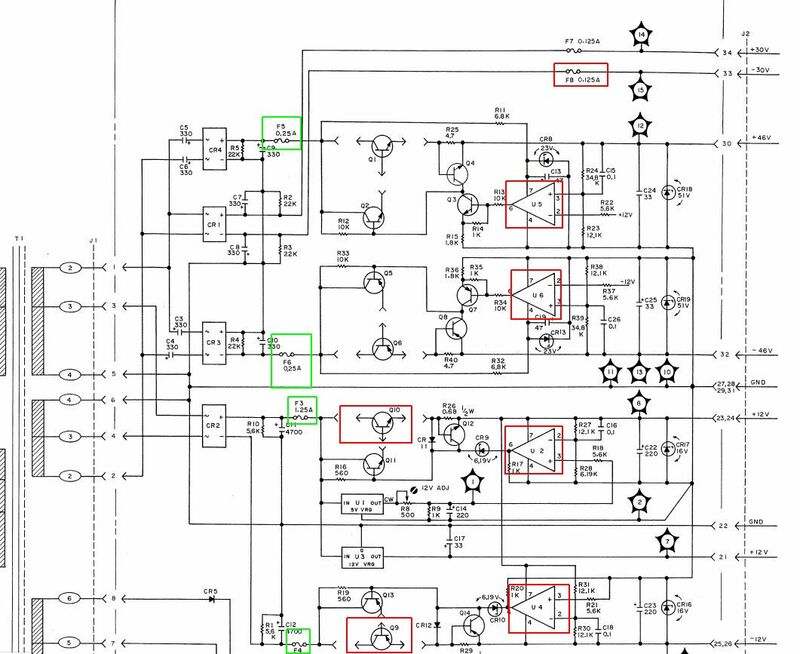 With some further analysis of the maximum current, and other parts of the circuit, I believe we can safely replace it by a very common and low cost MJ2955. 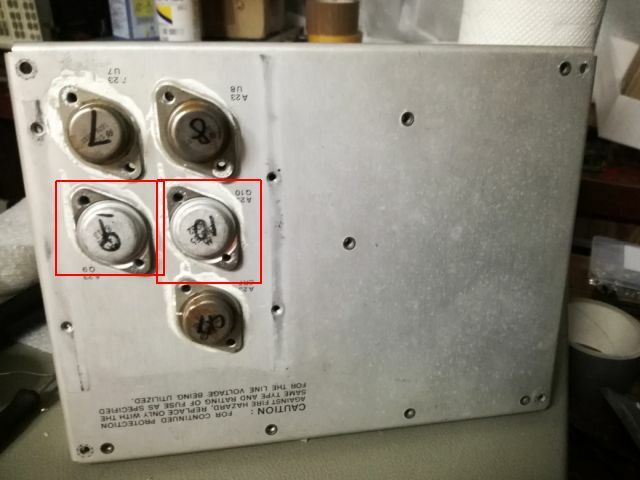 This is the complementary TO-3 transistor to the famous 2N3055, and by all I can tell, it should work just find in this power supply, as a simple pass transistor. 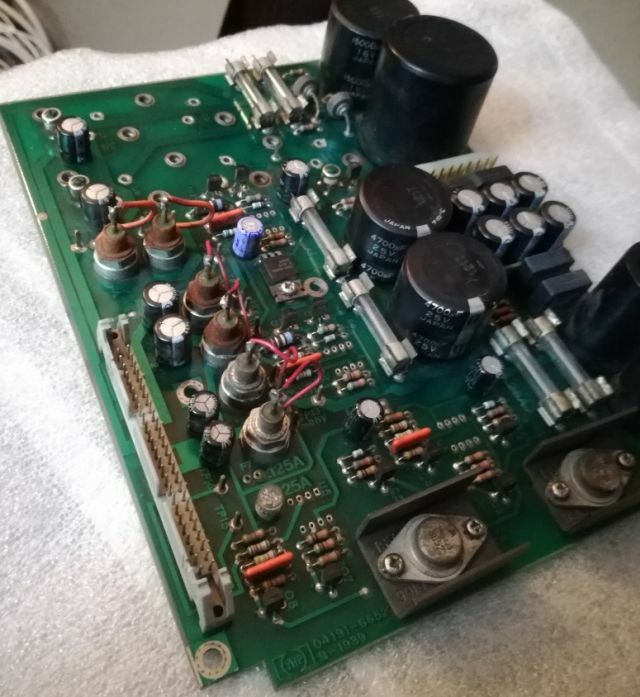 In the meantime, the board has been soaked in some isopropanol, and brushed with a soft brush, and all the rusted opamps removed. Ready for the new parts to be soldered in, once they arrive. 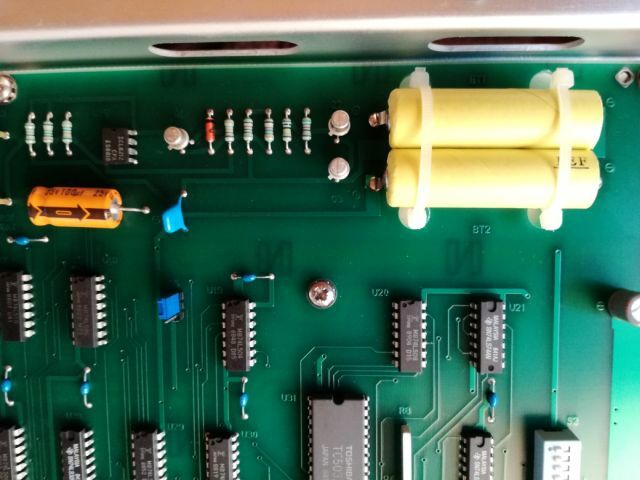 Another thing to look at – the NiCd batteries aren’t good any more. 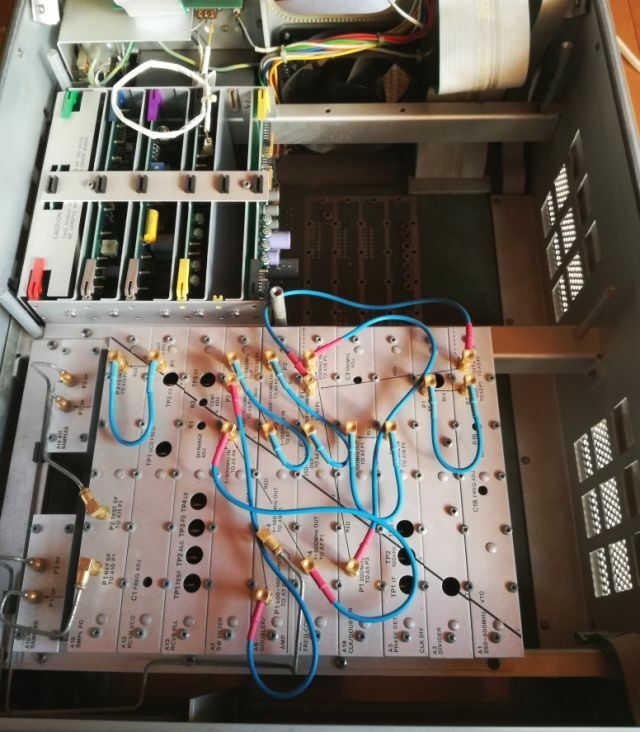 These will be removed or replaced, once the other parts are working, mainly to avoid any future risk of leakage of these cells, messing up the instrument. 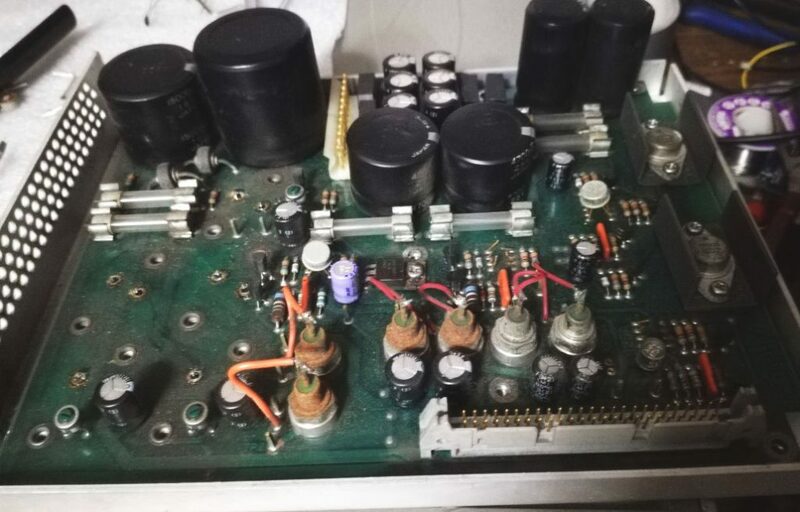 Hi, the nicad batteries on the CPU board are famous for leaking, the corrosion to the opamps is most lightly from leaking battery electrolyte, it looks like you have a new CPU board as the leak would have done the most damage here. 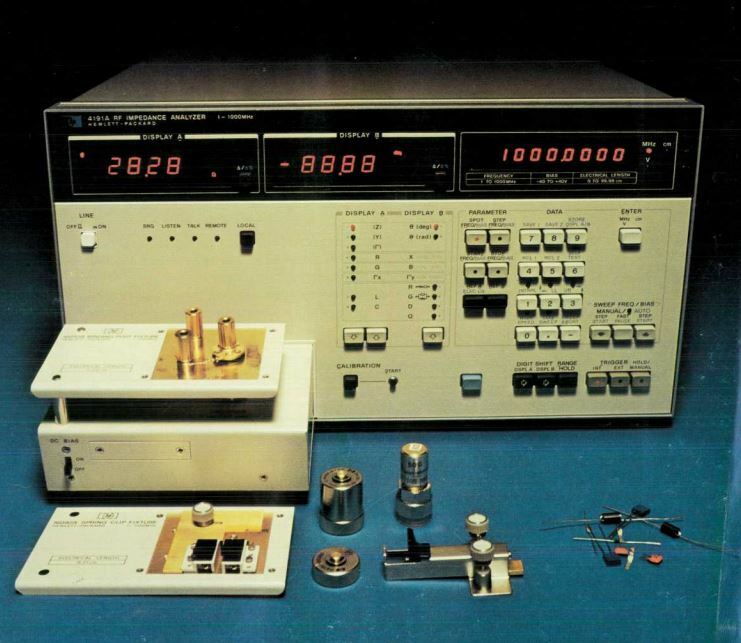 The unit is in effect a single port VNA but it lacks the ability to move the calibration plane, so you will be limited in the measurements you can make. Hi, right, I am going to replace the batteries soon and put some extra protection around them. The calibration plane can be moved as much as necessary with some external calibration and calculation, but it is mostly a component tester and there is no general need for me to move the cal plane. 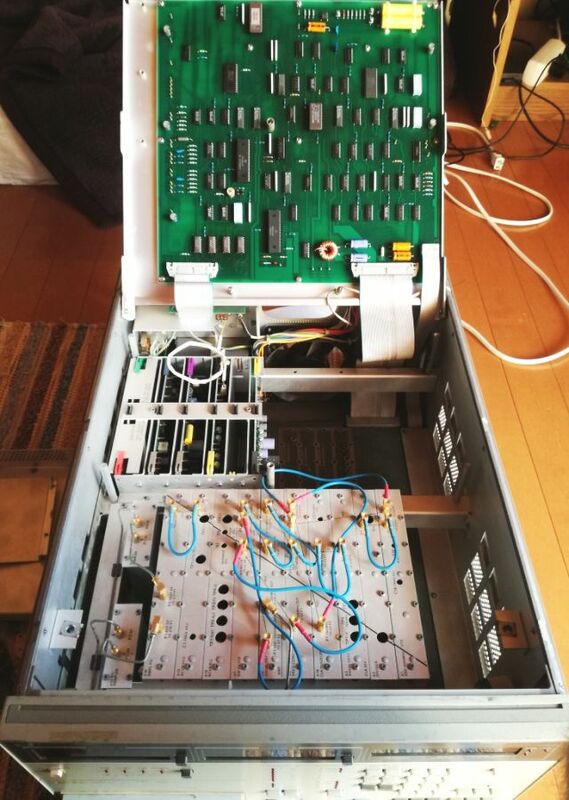 I am going to build some test fixtures for it using sma connectors rather than apc-7 for cost reasons and it will be accurate enough, let’s see, it is more for the sake of experiment.